Our teachers’ caring character and dedication transform our educational goals into achievements. We are aware of the important role that teachers play in our children’s education and we concentrate our efforts toward forming a high-quality team. Each member of our team is selected for his/her commitment to provide quality care and education and meets, and exceeds, DCFS requirements. 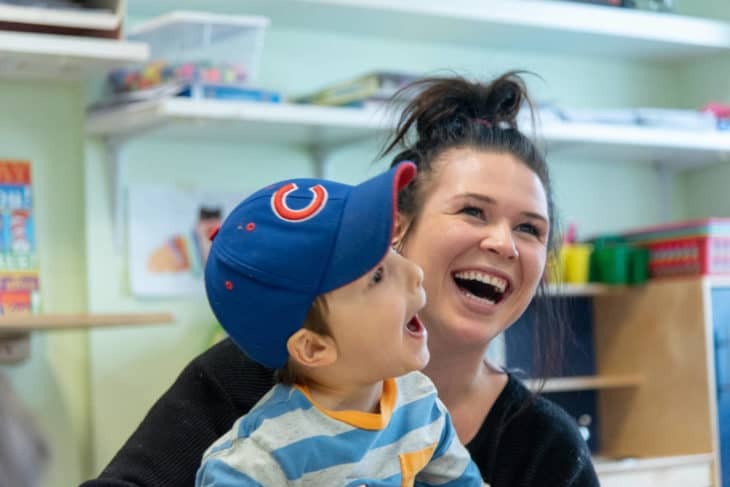 Our teachers bring their passion and appreciation of young children and their caring and understanding character are complemented by their experience, leadership qualities, and expertise in the field of early childhood education. Also, through their role modeling, an effective and important teaching tool, our teachers guide the children’s learning and development and influence their behaviors and relationships. We value their special qualities and we are fortunate to have them on our team. As we believe in quality education and continuous improvement, we implement comprehensive training in all aspects of LFDP’s mission and curriculum, which ensures consistency and efficiency among our teachers’ educational practices. Our continuing professional development maintains and advances their professional knowledge and skills. Are you a qualified teacher looking for a career within a professional team environment? She has also been struggling with taking consistent naps during the day, but the staff has worked with our desires and requests to help her sleep better. My daughter’s little face lights up every day when she walks into the room. He lights up with excitement to see his teacher and classmates when we enter the room each morning. We love the parent network and strong communication day to day as well as frequent gatherings. My husband and I made it a priority to keep our son at Ladybug part time. We feel he gets so much great social interaction and developmental learning that we didn’t want to keep him home full time.